But that doesn’t change anything for us NOW, does it? Blogging is wonderful, but hard, and when I started I literally felt like I was learning a foreign language. I didn’t know ANYTHING. I took lots of courses and read lots of books and blog posts and asked lots of questions. I spent lots of money learning. 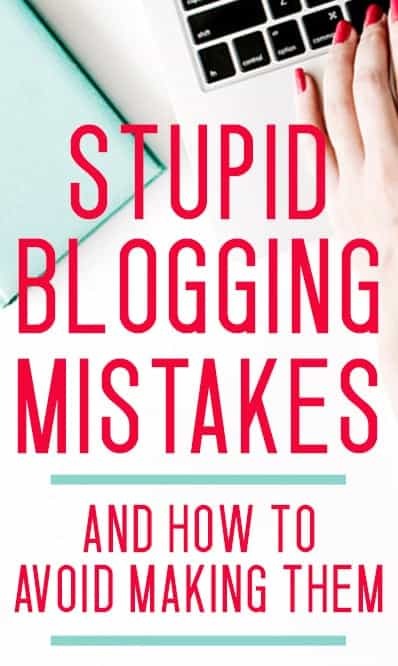 I don’t regret ANY of those things – in fact, doing those things is what prevented this list from becoming “231 stupid blogging mistakes I made”, instead of the smaller list it is. I think to some degree we (bloggers/humans) must go through the throwing spaghetti at the wall stage – to see what sticks – but some of the spaghetti I threw was totally dry and I shouldn’t even have bothered. I mean, I’m intelligent enough to know that dry spaghetti will never stick. Please, make sure the spaghetti your throwing is wet. I know these won’t be the only mistakes I ever make with my blog… I’d like to think that I know what I’m doing now, but the truth is that there is always more to learn. And that’s ok – that’s part of what keeps it interesting! I’m sure there will be a part 2 of this list someday. Until then, please consider NOT doing these things I did. EVERYONE and their dog was promoting Bluehost, and I didn’t bother to do a single google search or put an ounce of thought into what I was buying before I bought it. No matter what you’re purchasing for your blog, do your homework. Here’s more on why I eventually switched hosting companies. I bet I spent 50% of those “work” hours in my first few months (or year) as a blogger just scrolling through the posts on blogger Facebook groups. Looking back, I know I did it because I felt overwhelmed (and I excel at procrastination when I’m overwhelmed). There were many things I knew I needed to do, but I just didn’t know how to start or where to start, so I didn’t start. I told myself I would learn things (for free) from the Facebook groups – and I DID, but eventually the most valuable lessons came from jumping in and doing – without know how to do it. I lost many many precious hours that I can’t get back. My blog would be light years ahead of where it is now if I could have even half that time back, and do REAL foundational WORK. Write posts, make graphics, take a course. All these things that I struggle to fit in now, I could have done with almost no effort before I had a baby, before I had a full time busy blog. This is not the domain I had when I started. I had no idea what I was doing and I changed domains about 3 times. At the VERY start, I had an email address that went with the FIRST domain, and I used it to sign up for affiliate programs and plugins and… everything. Now, two years later, I cringe when I have to give my email address because it’s not only terrible, it’s also irrelevant. 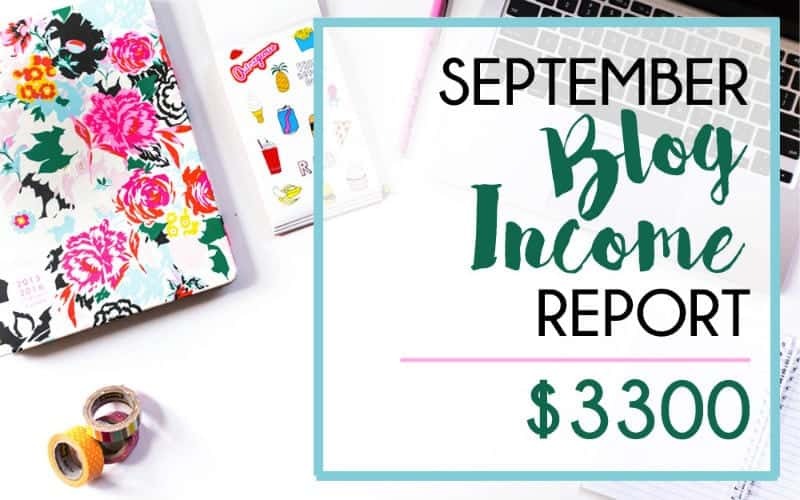 I wanted to keep my blog as budget as possible, and I was spending tons of money learning about blogging (again, not a mistake). I opted for the free plugins over paid ones where I could… never considering the long term effects of my choices. A specific example that comes to mind was my choice to use the free shareaholic plugin for social shares instead of paying the 30 bucks for social warfare. (That’s what I have now, and I love it.) Shareaholic WORKED, but it turns out it was not only resource heavy and slowing my site down, but it was also sneakily running it’s own invasive ads on my site… despite the fact that I hadn’t given it permission to do that. This wouldn’t have been SUCH a big deal, except when the ad issue was discovered and I HAD to remove the plugin, I lost all my social share counts. I have posts on this blog that have over 75,000 shares and they say 3k shares. Social proof DOES count for something, and I gave up a good chunk of mine to save 30$. After I started to see success with the posts I had out there, I let myself coast. I spent more time on Facebook, more time fiddling with little things that weren’t really adding to my bottom line… like theme settings. Content creation was (still is) hard for me and it’s something I always find easy to put off. It’s great to have those viral posts and it’s always wise to make the best of them… but be diligent and know that there ISN’T more where that came from unless you MAKE more. When my traffic finally died down a little I realized that the dip was, in large part, due to lack of content. I don’t care if you post three posts on Monday and then not again all week. Just post the posts, even if it’s hard work. As time went on and I started to find my blogging groove, I refused to accept that I knew what I was doing and I constantly looked to everyone else to direct me. I couldn’t accept my own success. I’d read that I NEEDED to be on Facebook, even though the idea almost makes me sick, and I’d run out and buy a $350 course on Facebook… and then not touch it because I couldn’t stand the thought of putting time into Facebook. Or the whole niche down thing. My blog was making money and growing despite not being niched down, but I wasted hours, (days, weeks) of my life stressing about the fact that my blog wasn’t niched down. I completely re-branded and spent a month on a new site design and $120 on redirects to a new domain so I could be “niched down”. And you know what changed? Nothing changed at all except that I had to wait for MONTHS to get re-indexed by google, and I DO like the new site design BETTER, which is nice. Related: How niched down does your blog REALLY need to be? 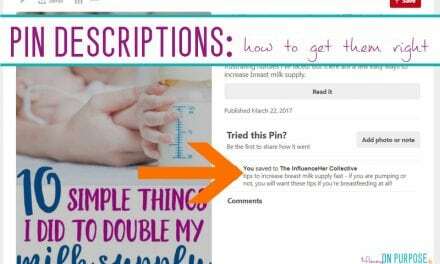 I have great Pinterest traffic, and I don’t need more traffic (always want it, but want and need are different). 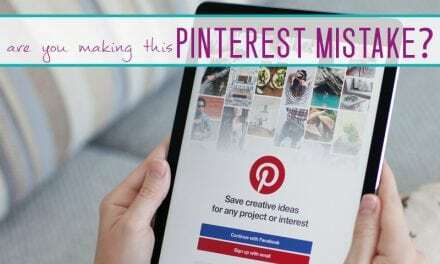 Pinterest traffic came easily to me, and I couldn’t figure out why I should bother with hard things when easy options were available. Not only that, but everyone said search traffic takes time to create and I didn’t want to wait. I wanted traffic now. The kicker is that the time has passed, and NOW I’d be getting the traffic if I’d put in the effort then. Talk about short-sighted. Also, search traffic is more valuable than social media traffic. When someone types a query into search and you provide them the answer, they are FAR more likely to click on your affiliate links. Not only that, but did you know that ad networks pay more to advertise to a search user than a social media user? Increasing your search traffic will increase your advertising RPMs. Because I didn’t care to have search traffic, I didn’t spend a single second bothering to learn SEO. It’s never to late to learn and do better going forward… but there things that I CAN’T fix that drive me nuts, like the URLS for some of my most popular blog posts. I can try to go back and optimize the posts that already exist, but really, we’re talking about nearly 200 posts. I don’t have that kind of time to devote right now. This was one of those things that I just chose to close my ears to. It was “too much”, and I didn’t know what I would email about or how to make it happen. And so I didn’t even try. Once I started with a decent email service provider, I just learned as I went. If I had started sooner, I would have learned sooner. You’d think I’d put “waiting to create a product” down as a mistake, but really, I don’t think waiting to create a product is a mistake. I think there are far too many bloggers out there – who don’t yet have an audience – banging out terrible products and launching them to no one and making no money for their efforts. All because “create a product” is another popular “must do” for bloggers. So, no, don’t rush into creating anything. Once you do create something that you KNOW is good – go ahead and put it out there! I was terrified and hesitant and sat on my book for months. It earns a few thousand dollars per months now (I won’t get rich on it, but it’s nice passive income). If I had just gone ahead and put it out there when it was first ready, I’d be a few months farther ahead. This is like not bothering with content creation but maybe even worse. Having a successful product is great, but one successful product will only take you so far. The thing about a successful product is that it sets you up for selling a second one. You shouldn’t need to work as hard to get your second product out there – since you already have an audience from the first product. Not taking action (generally because something is hard or overwhelming), not wanting to spend any more money, or not focusing on the long term. Stop looking for the cheap way to do something. Stop looking for the easy way to do something. Stop being so short sighted. I kept reading “blogging is a marathon, not a race” and I repeat it like a little drone… but if I believed it, why didn’t I TREAT my blog like I was in it for the long haul? Is being short sighted, cheap or not taking action holding your blog back? Go – get to work! NextPlanning a Disneyland Trip at Christmas Time! Ha, that was insightful and I feel so guilty … I’m a PROcrastinator on tasks I don’t enjoy doing. You are right, let’s just get to work and get the important stuff done, first! I don’t even open a tab with Facebook as it has been such a time-sucker! Now, I browse Facebook with my cell phone when I have a minute here or there. I can still network but I will not get sucked in. OMG- This is just the post I needed to read. I am positive I’m making most of these mistakes and I’ve been blogging for years. Lol! I have had one viral post carry my blog for 3 years! It’s starting to slow down. Thankfully I knew this would happen so I created similar content that is now picking up so my traffic has remained the same. Now my goal is to get multiple posts to go viral for years! BTW- You can make a new email through Siteground at any point and have it forward to your old email. I have Hannah@eatdrinkandsavemoney.com to give to blog clients to make me look more professional than my gmail account even though I prefer my gmail account. Carly! You light up my life with your blogging truths. Thanks for your transparency, and here’s to hoping I can actually learn from you on this one. Hey Elizabeth!! Niche down STILL GETS ME sometimes. I have to remind myself constantly to let it go LOL. Focus on your content, and promoting that content, and you will either naturally find the niche that works for you – or you will make many work! YESSSSS!!!! Summer, get those blinders on do the stuff! Make 2018 the year your blog gets HUGE! So. This post is everything. And I am sorry, this may be a long comment. I currently have BlueHost and I hate it. honestly, I don’t even know what it is doing or what it is supposed to do. I want an email to go with my website and I cannot receive emails from other users using the email from bluehost. I think they are really complicated. And I got it because everyone was promoting Bluehost and I did not do my own research! I am now better at creating content, but when I started I was horrible! I was constantly listening to what other people said I need to do, and was not always what was best for me. I’ve been reading all your posts on blogging as I am baby free for the time being and doing all the research needed to prepare me for this journey. Much gratitude for sharing your story. It’s so inspiring and the blog posts are incredibly helpful! I have a question about the host you’re using. Are you using WordPress? I believe I read that you are but I also researched that you can not use ads or affiliate marketing with Workpress. Is this correct? I love your layout and would love to use the host you’re using if they a great one to recommend. Thank you! I AM using wordpress, and you should be too. WordPress is the leading platform for building a profitable blog. The majority of professional bloggers use wordpress and it’s always a good idea to start there – instead of moving there later. PAID wordpress is totally different, in that you can do whatever you want (as long as it’s legal) and you OWN your content. The hosting company that I am with is siteground – and they are an EXCELLENT host – you can read more about them + why I use them here: https://mommyonpurpose.com/bluehost-vs-siteground/ Do take the time to read up and do your research – I DIDN’T when I started my blog, and that ended up being a headache. 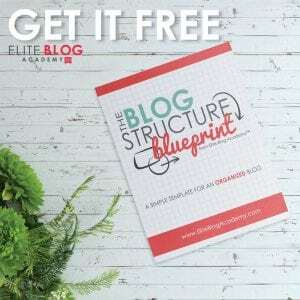 Also, it sounds like you haven’t joined my free blogging course, and I would encourage you to! 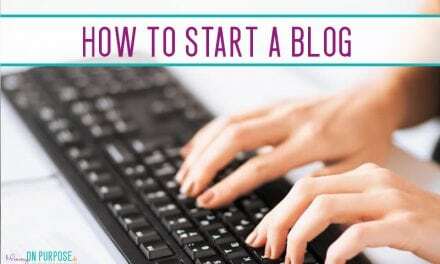 You can either get it emailed over to you OR just read it all here 🙂 https://mommyonpurpose.com/how-to-start-a-blog-and-make-money/ I think this course goes MUCH deeper than most free courses you’ll find out there! 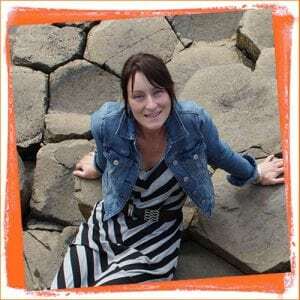 I wish you all the best on your blogging journey Diane – it is a FANTASTIC thing to do!!! I needed to read this today. I feel like you were describing me. I love the fact you embrace the imperfections. It makes me feel like I can really do this and it will be ok to make some mistakes and learn from them. 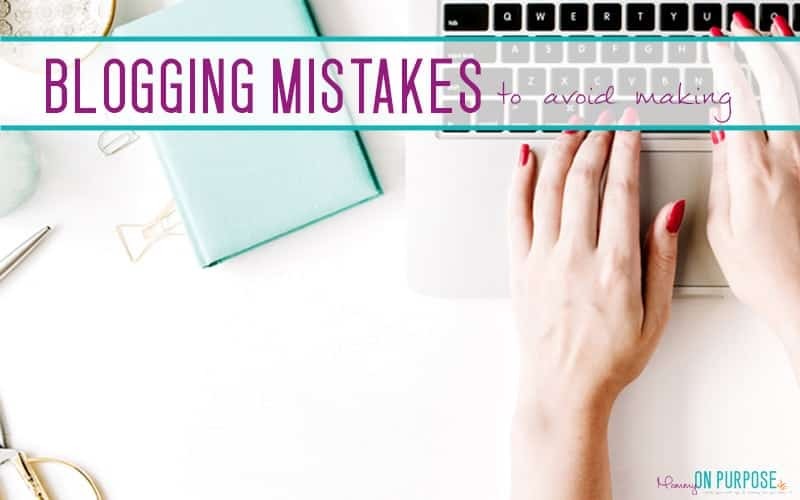 Mistakes are TOTALLY ok – even necessary – in blogging. 🙂 I’m glad you enjoyed it! Hi Carly, thanks for the reminder that search traffic is super important I have several posts in drafts waiting to be published just for SEO traffic. Great post! Wow this really hit home for me. I can’t tell you how often I have changed domain names, or went with other hosting services. Thank you for this share. Again thank you for the share though and I will be taking a lot of the things you have said about the whole Facebook marketing to heart. That was actually my next step. but right now I think that I will just be working more on Content creation and blogging. Thank you again. Not focusing on an Email List is something I can relate to. As a beginner blogger, I never focused on email marketing and missed months until I realized what I was mission on.